Gurjot Bhatia is the Managing Director for the Project Management Group, at CBRE in India. He has extensive experience in managing projects at the executive level for several major multi-national clients. Under Gurjot Bhatia's leadership, the Project Management Group of CBRE has consolidated a project portfolio of over 300 million sq ft and has grown to a team of more than 1000 professionals across India. Apart from building a strong project management team across the country, Mr. Bhatia has introduced various best practices and processes to the division. This has led to the group consolidating its position as a market leader. He has serviced more than 500 corporates in his career spanning over 20 years. 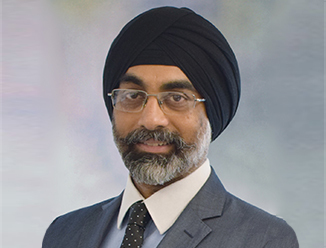 Prior to joining CBRE, Gurjot worked in the Project Management division of two other international real estate companies and was responsible for Project Management throughout India. Gurjot holds a Bachelor’s degree in Architecture from the School of Planning and Architecture, New Delhi and a Masters in Construction Management from National Institute of Construction Management and Research. With his extensive project management experience, Bhatia is evidently leading the group’s growth story. Gurjot completed his Bachelors in Physical Planning from the School of Planning and Architecture, New Delhi.